Virginia Democrats are calling on Gov. Bob McDonnell to get to the bottom of what caused hours-long waits on Election Day in urban areas across the commonwealth. In northern Virginia, some voters in Prince William County faced five-hour waits before casting their ballots. In Fairfax County, at least one polling place stayed open until 10:30 p.m. Similar issues kept voters standing in the cold for hours in Hampton Roads and the Richmond area. "Asking anyone to wait several hours is unacceptable," Virginia Democratic Party Chairman Brian Moran said. "Why did it go so poorly this year and why were these long lines experienced? We're going to be a battleground state, so ultimately we don't want this to happen again. Let's take the proper steps. Let's fix it." 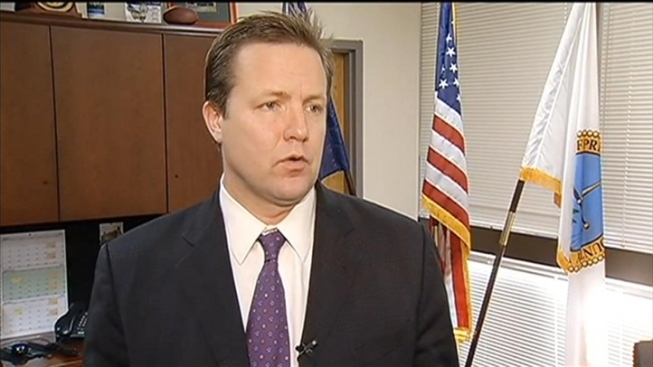 Republican Prince William County Board Chairman Corey Stewart also wants the problem fixed. He waited in line two hours to vote. He's asking the county's Board of Elections to report back to supervisors about what went wrong. Stewart said near-record turnout in Prince William along with the country's growth were factors. "We're trying to keep up with that growth, but that obviously came to somewhat of a head this Election Day," Stewart said. "We are going to hear from the Board of Elections, a full report about why it took so long and why they weren't really ready for this massive influx of people." Fairfax County's Board Chairman Sharon Bulova is also proposing a review. She'll ask her board of supervisors to set up a bipartisan commission to analyze what happened. Some voters and elected leaders also believe the complicated ballot questions and bond issues in some jurisdictions meant voters took much longer to finish their ballots in 2012.